A fully updated version of the best-selling Essential Grammar in Use, available with a substantial new CD-ROM for additional interactive practice. 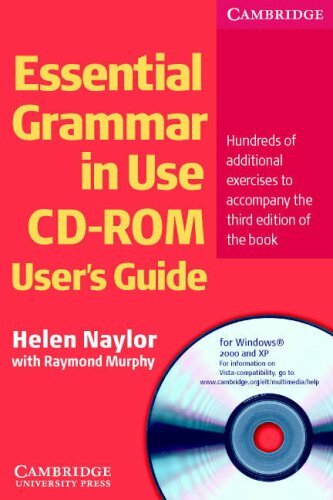 This exciting and substantial CD-ROM offers a wealth of extra practice material covering all the language in Essential Grammar in Use Third edition. • built-in dictionary with full definitions of all key vocabulary. thank you so much ayman. but it doesn't work on windows 7. can you help me with this? Hi Ayman!it doesn't work on Window 7.can you help me with this? Hi Ayman, when I try to eject the CD, it shows me a message: "Insert the original cd". What I can do? My System is Windows 7 professional. Could you please Re-post a new link? These are not working... file not found.